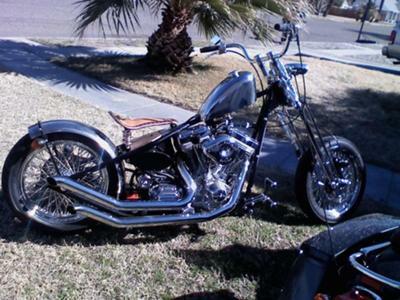 I call my custom chopper Slingshot because that's what it feels like. SL Lacy, Needles. CA.